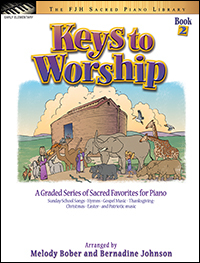 Keys to Worship, Book 1 is the first volume in a series of student solos – featuring teachers’ duets, teaching aids, and background information. 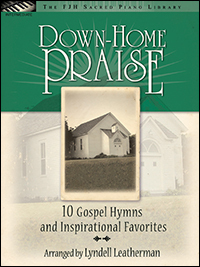 Contents of this spirited collection include: Sunday school songs, hymns, gospel music, patriotic music, and songs for holidays such as Thanksgiving, Christmas, and Easter. 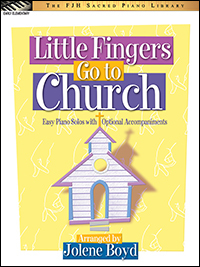 Little Fingers Go to Church is a beautiful collection of inspirational favorites arranged by Jolene Boyd. This volume features solos with optional accompaniments. Contents include: Be Still and Know; Blessed Assurance; Deep and Wide; God Is So Good; Hallelujah! ; Jesus Loves the Little Ones; Praise Him; My Jesus, I Love Thee; Praise Him, Praise Him; and This Little Light of Mine. and This Little Light of Mine. 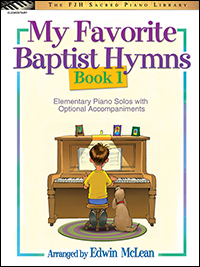 The son of a Baptist minister, Edwin McLean has arranged some of his favorite Baptist hymns for the elementary-level pianist (with optional teacher accompaniment). The hymns included are beloved not just by Baptists, but by followers of many Christian denominations. Includes: Abide with Me, Sweet Hour of Prayer, Softly and Tenderly, Just as I Am, Amazing Grace, Bring Them In, and more. 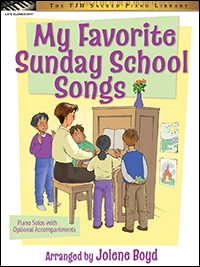 Book 3 features a wide variety of sacred music from Sunday school songs, hymns, gospel songs, and music for special occasions. In each section students are given a "Key Thought" which highlights an interesting fact about the origin, author or composer of the song: and "Keys to Success" which are activities that introduce and reinforce musical concepts unique to a particular piece. These arrangements are sure to be an inspiration to performers and audiences alike. 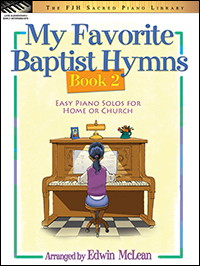 The hymns in Book 2 have been arranged for the Late Elementary/Early Intermediate pianist. Church piano accompanists may also find these suitable for congregational singing, since the chosen keys are close to the original ones. Includes: Holy, Holy, Holy; Come, Thou Almighty King; It Is Well with My Soul; Blessed Assurance; Have Thine Own Way, Lord; Stand Up, Stand UP for Jesus; On Jordan's Stormy Banks; Wonderous Words of Life, and more. 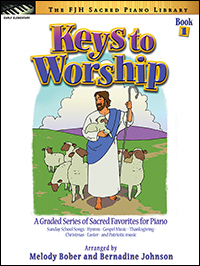 The young pianist will love playing their favorite Sunday school songs, and learning some new favorites along the way in this late elementary level sacred book. 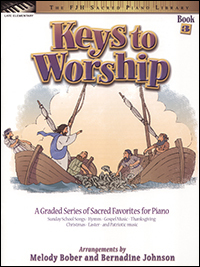 With the variety of pieces included in the book, students will be ready and eager to play these wonderful worship pieces at school, church, or at home with their families. Each piece has an optional piano accompaniment. 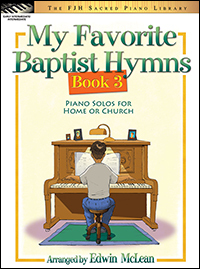 Book 3 in this piano solo collection of hymns for home or church continues the series progression, with the aspiring church pianist in mind! Titles: Jesus Is Calling; What a Friend We Have in Jesus; Almost Persuaded; Bringing In the Sheaves; Trust and Obey; Rock of Ages; He Keeps Me Singing; and O Happy Day. 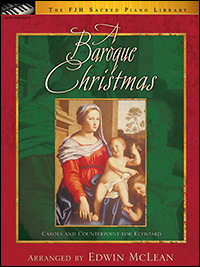 Organists, pianists, and harpsichordists can capture the spirit of the Baroque era with these wonderful new Christmas arrangements by Edwin McLean. Contents include: Nöel Nouvelet; God Rest You Merry, Gentlemen; What Child Is This; The Coventry Carol; We Three Kings; Pat-A-Pan; In Dulci Jubilo; O Come; O Come, Emmanuel; Good King Wenceslas; Silent Night; and Adeste Fidelis. 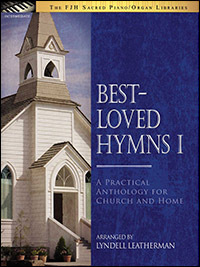 Best-Loved Hymns I is an extensive collection of 75 hymns not limited to one denomination or tradition. 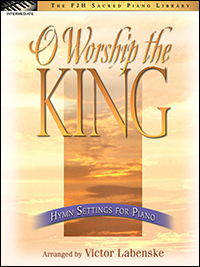 These hymns are arranged to fit into a variety of performance situations from piano solo, organ solo, piano-organ duet, and guitar and bass for contemporary praise and worship. 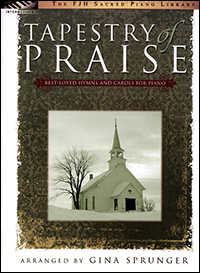 Includes background information on each hymn and an index of topics, seasons, and occasions with suggested hymns that apply. This collection contains a wealth of theology waiting to be confirmed in the hearts of God's people through His wonderful gift of music – a must for any worship leader, church musician or layman. 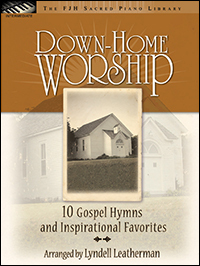 Here’s a marvelous collection of 10 gospel hymns and inspirational favorites that will be a treasured collection in your home or church library. Appropriate for all performance settings, these songs of faith have been arranged with a country flavor to provide performers, teachers, and students with the fulfilling joy of the contemporary gospel sound. 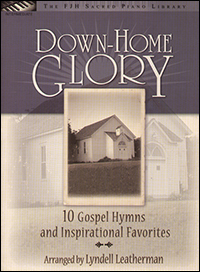 Down-Home Glory contains a variety of well-loved hymns and inspirational favorites arranged in gospel styles for solo piano. The arrangements within reflect Lyndell's own personal gospel style, described as a mix of certain country and jazz artists. Lyrics, optional repeats, and chord symbols are included. Following in the distinctive design of the Down-Home series, more inspiring arrangements of Gospel hymns and Inspirational favorites are included. This book also contains lyrics, optional repeats, and chord symbols. Some of the titles included are: Wonderful Grace of Jesus; Mansion Over the Hilltop; Give Me Jesus; and many more. 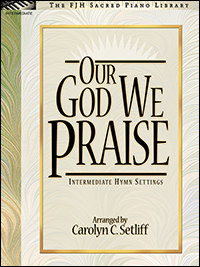 This intermediate level sacred collection consists of arrangements of 10 Gospel hymns and Inspirational favorites. Included in this book are: lyrics for personal enjoyment, or for use as a resource for solo or group singing; optional repeats that allow for flexibility in length of each piece; and chord symbols for choice of adding a rhythm section. Some of the titles included are: When We All Get to Heaven, He's Still Working On Me, and Just a Little Talk with Jesus. These contemporary settings of Kevin Olson’s favorite hymns are a perfect match for the modern church service. They feature his rhythmic and improvisatory style, yet are easy to sight read. Titles are: More Holiness Give Me; The Lord is My Shepherd; Come, Thou Fount of Every Blessing; Did You Think to Pray? ; Amazing Grace; I Know That My Redeemer Lives; and God Be With You Till We Meet Again. This sacred collection features nine relatively short hymn settings that may be played separately as preludes, offertories, postludes, or contest pieces. Additionally, since each succeeding arrangement is either in the same key or moves up the circle of fourths, the pianist may play this material as an extended prelude, segueing smoothly from one piece to another, starting anywhere in the book. The entire book takes about 15 minutes to play, so the pianist may proceed as long as necessary without any interrupted moments. 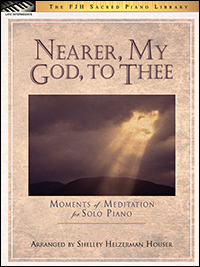 This piano solo collection contains seven hymns and spirituals, arranged for the accomplished church musician, performer, or student, and useful in worship services, recitals, or talent contests. Here is a listing of related products. Perfect for piano study, church, and other performance venues, this collection of standard hymn tunes has been wonderfully arranged by Victor Labenske. 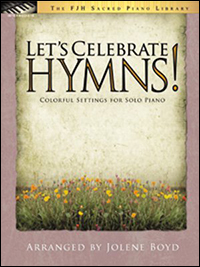 This beautiful collection contains arrangements of hymn melodies that were written over a period of centuries. Featuring expressions of faith, joy, hope, and love. 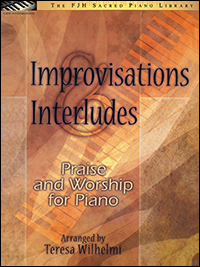 This intermediate level piano collection features fresh arrangements of nine well-known hymns and carols that are ideal for use as preludes, offertories, or postludes. Veteran arranger and performer, Gina Sprunger, brings her extensive teaching and church experience. Contains 13 beautiful arrangements of classic, traditional pieces used to celebrate and enhance this very special event. 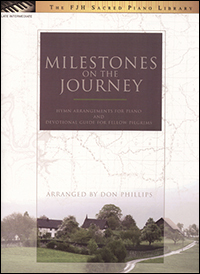 In addition to the pianistic arrangements, this book also includes an outline of a traditional ceremony with suggested pieces to use. As an extra touch, a registry page is included to record the names of the wedding party, serving as a special keepsake for the bride and groom. 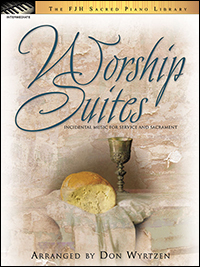 This volume was written to meet the need for background and transitional music in worship services. Inspired by Kierkegard's analogy of worship being drama, veteran performer and church musician Don Wyrtzen has crafted thematically-congruent suites to serve as "incidental music." Each suite contains a number of standard hymns, as well as a newly-composed original theme which serves to introduce and tie the arrangement together. There are numerous starting and stopping points written into the arrangements, allowing for maximum flexibility in length. The main titles include: Call to Worship Suite (also suitable as a prelude); Communion Suite I: The Bread; Communion Suite II: The Cup; Scripture Reading Suit; Prayer Suite I; Baptism Suite; Baby Dedication Suites I & II; Invitation Suites I & II; and Benediction Suite (also suitable as a postlude). This volume of contemporary Christian favorites is arranged by Teresa Wilhelmi with her trademark light jazz touch. 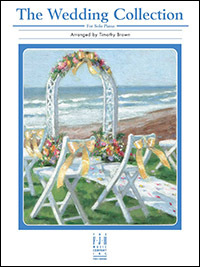 An ideal resource for church-based banquets or for wedding or anniversary receptions, the book features main arrangements with shorter interludes, which may stand alone, or be used as extended introductions to the arrangements. 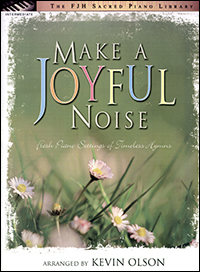 An inspiring collection of hymns, each accompanied by devotional thoughts, that focus on the "spiritual milestones" or the "special moments" of the Christian¹s journey through this life and his/her personal relationship with God. This collection is truly inspiring and eloquently written, and is a wonderful resource for inspiration and worship. Arranger Shelley Helzerman Houser is a church musician and piano instructor who has found the balance between making these settings interesting while remaining highly accessible. 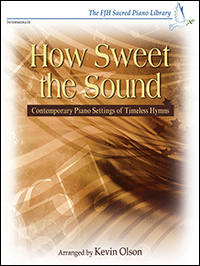 This collection is a fresh source of hymn settings for students, performers, and church pianists. The arrangements are shorter and more succinct than usual, making them ideal as offertories in smaller churches or other situations in which brief pieces are desired. In addition, many of the selections will prove useful in recitals, talent contests, or concerts.